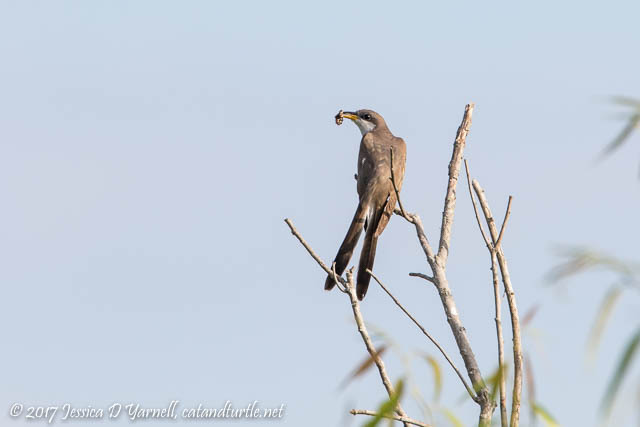 I forgot to post the Yellow-Billed Cuckoo picture in my blog post Cuckoos Chasing Cuckoos from this weekend. Oops! So here’s the bird that caused several photographers to follow him up and down the Marsh Rabbit Run trail. He likes to bury himself in trees with lots of leaves, so I was very surprised when he hopped out onto a dead tree and posed for a few seconds. Too bad there are so many branches around him.